Thorough, Visual-Chemistry Modeling for Mining. Tweaked for pH Extremes in Mining Process Waters. Collecting water analysis from several laboratories or formats? MineSAT users can easily change analytical units on the fly to match original reports or to better suit a given audience. MineSAT users can enter an analysis to be modeled as a single source, or quickly copy/paste it to be mixed with up to 12 total streams. 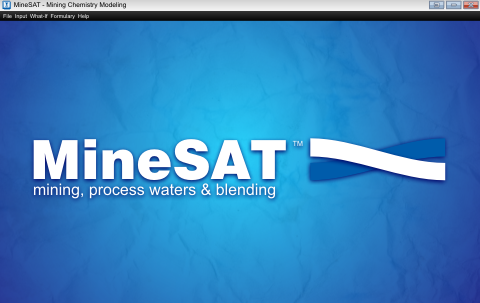 Available as the mixing program in a Water Reuse Suite, MineSAT is compatible with hyd-RO-dose - for reverse osmosis and WaterCycle - for cooling water modeling. Generate pages of predictive modeling data. Reports are printer/PDF ready.